Android may be the biggest mobile platform, and it may even arguably be the better platform. But when it comes to updates, iOS has its game sorted and Android right now is not even playing the same game. Several OEMs have poor track records of issuing updates to even flagship devices. OnePlus is one of the companies that do not have a history of providing timely updates. However, recently with the successes with OnePlus 3/3T, the Chinese OEM is taking updates quite seriously. A lack of Nexus devices in the market means potential customers and who want timely updates. Even though OnePlus has gotten better with updates, here’s the thing with OTA updates, they’re not exactly fast. That’s where Oxygen Updater can help. Why do you need Oxygen Updater? Generally, when an OEM rolls out an Android update, it arrives on your device as an OTA update. The update is rolled out in batches depending upon your region, carrier, etc. So a OnePlus 5 owner from Europe may be rocking the latest update telling you about it on the internet while you, in India, are still waiting for an OTA. Can’t blame anyone here to be fair, since the servers can only handle so much load. If you connect to a European server using a VPN, in theory, you should be able to receive the OTA on your device. Keep in mind though that an OTA update also depends on the carrier, device model, etc. So it is also possible that you just may not get that OTA still. Oxygen Updater is a nifty app which does something similar but it’s not a VPN service. If you don’t want to wait, Oxygen Updater is the app to use. The name may suggest otherwise but Oxygen updater is not an official tool offered by OnePlus nor even developed by an employee of the company. It is a third-party tool not even remotely associated with the company. 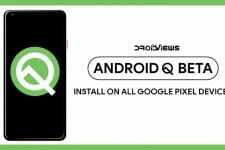 Well, other than the fact that it works for the OnePlus 6, OnePlus 5T, OnePlus 5, OnePlus 3T, and the OnePlus 3. It’s super easy to use too. Simply select your device and it will check whether your device has an update or not. That sounds like the updates section in your device’s Settings, doesn’t it? Well, it is, very much similar in terms of how it is used. 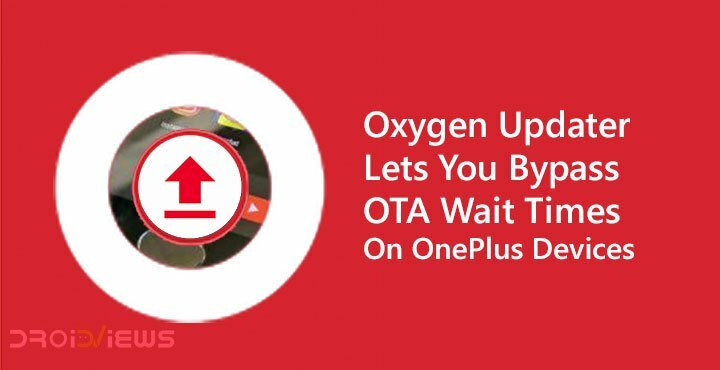 Unlike the updates section in your device though, Oxygen Updater pulls all the update packages for your device irrespective of your location or other limitations the in-built updates section has. So Oxygen Updater will show you that an update exists and let you download it even if the Updates section on your phone says your device is up to date. It works for all the afore-mentioned OnePlus devices and it can also pull up packages from both stable and beta channels. The app also allows you to download partial OTA or full firmware packages (in case you’re rooted). Once downloaded, the packages can be installed via the stock or the custom TWRP recovery. Download and install the Oxygen Updater app by Arjan Vlek from the Google Play Store. You can use the link provided below. Launch the app when installed, and it will detect your device. If it doesn’t, you can select it from the drop-down menu. Next, the app will ask to be granted root permissions if your device is rooted, you can skip the step if you don’t have a rooted device. 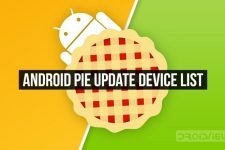 This helps the app configure whether to download full firmware zips for your device or simply just the partial OTA update. So if you have a rooted device and grant the permission, the app will default to the full update method. When you get to the main screen of the app it will either tell you that you are up to date or show you an available update. In case an update is available, hit the Download option and the download will start in the background. Once the download completes, tap on the notification. The app will then automatically reboot your device into recovery mode, install the update and then reboot again.